Today I want to share a gorgeous home, a bit closer to home, well only 3 hours flight away in Queensland, Australia. 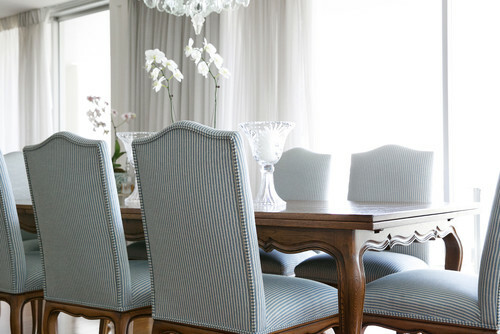 Hamptons is a classic, timeless design that is easy to live with and pretty much timeless. It is the perfect style for a grand 'Queenslander' or new build Hamptons style architecture. I'm not sure if you know but I now have an Instagram feed, it is a bit about me, about Poppy, beautiful homes and my art. I actually came across this house when I was looking for ideas to re-style the large bookshelves that dominate my living area, (I posted about this on Instagram). The shelves have become rather messy and cluttered with too many books that needed culling. 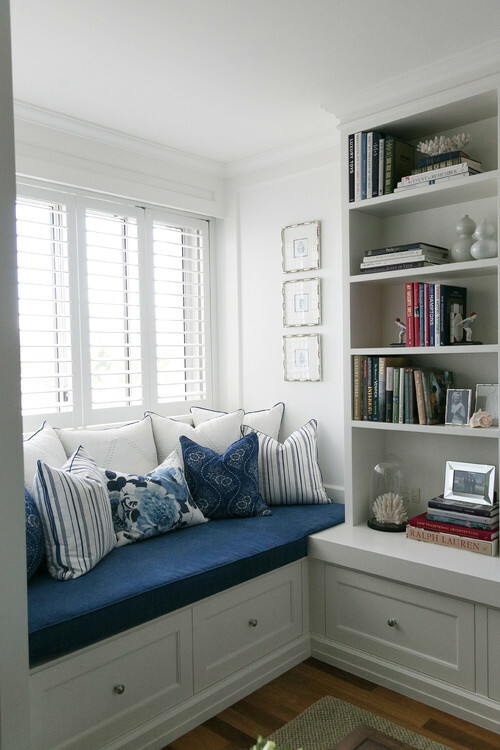 I wanted to find some fresh ideas on styling bookshelves and came across this gorgeous, what I would describe as "Hamptons style to a T", Queensland home on Houzz. This home epitomises all that I love, flooded with natural light, blue and white and traditional in style, I could move in tomorrow...well actually today if I hopped on the next flight and bribed the owners to sell it to me :). 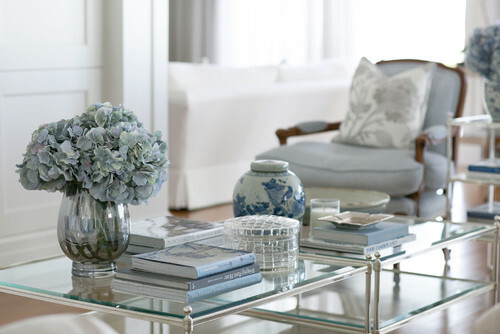 I love how Verandah House, (a leading Queensland design firm), have been bold with their choice of blue in the living room. 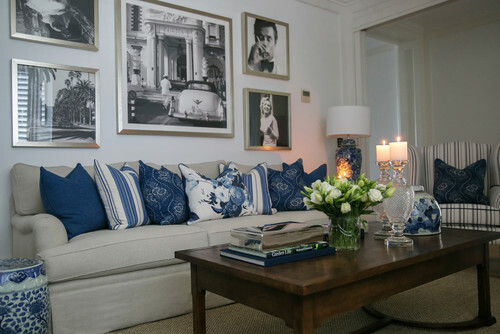 I am usually drawn to lighter shades of blue but in a large space such as this, a deep, vibrant blue works wonderfully and pops against the white background. Unfortunately I can only share a few photos of the living area in this home, as there were not many images, therefore, you will have to imagine how beautiful the rest of this house must be. 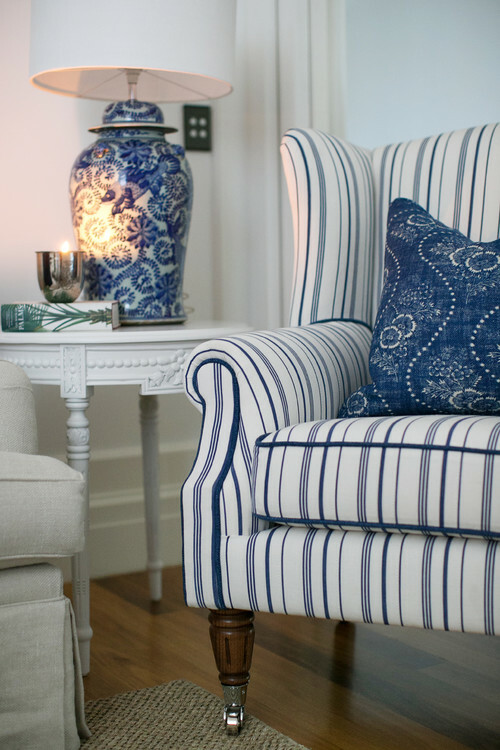 I can't rave on enough about the combination of blue and white and how refreshing and relaxing it is to live with. It is my all time favourite colour combination. If you get it right, it makes one feel like you are on holiday every day. 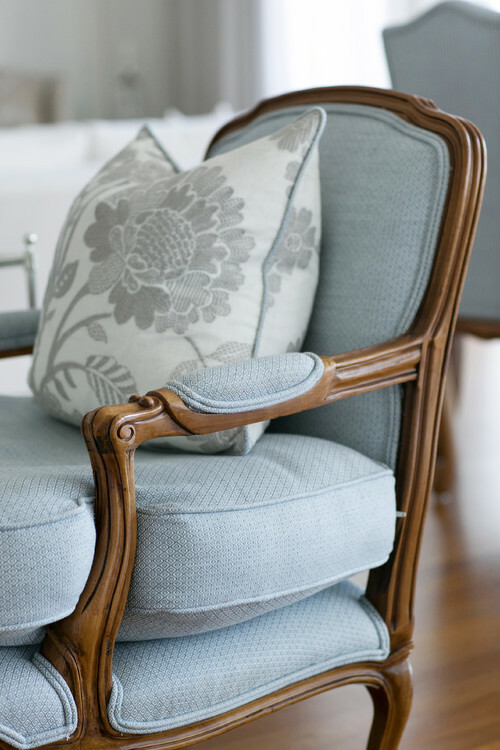 I use this combination in my living room and just love it. 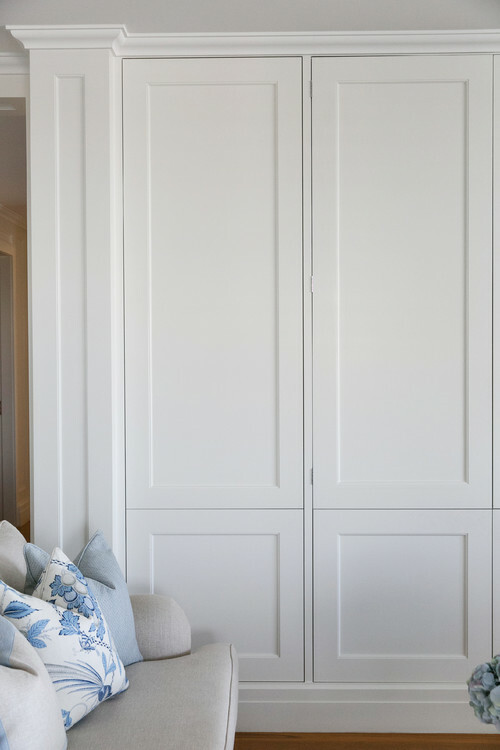 If you like the design of this home and you live in Australia, you may want to check out more of Verandah House projects (you will find a link above). 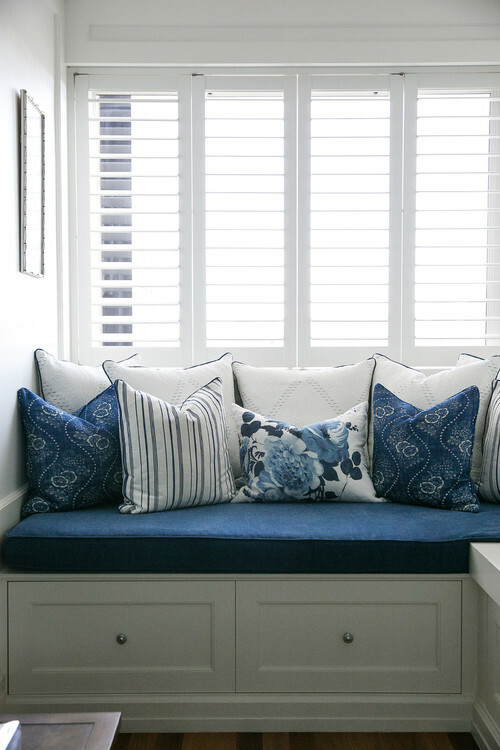 Beautiful....I love blue and white too!